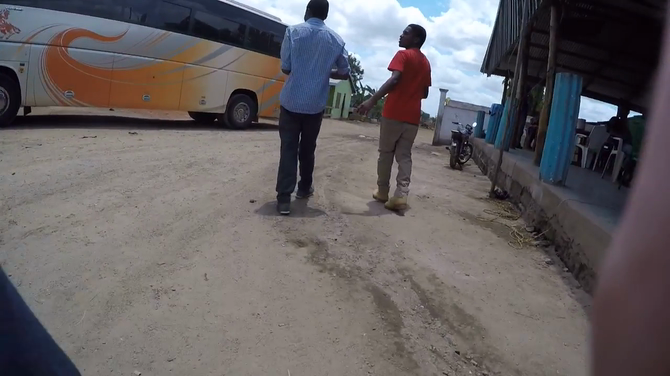 Mr Jukes' undercover camera work at our road stop on the way to Tanga. Whose familiar face can you spot near the end? !